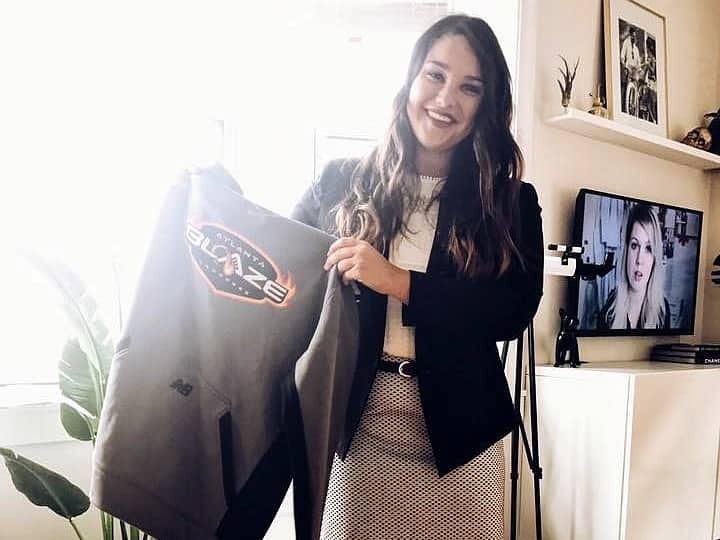 Originally from Jacksonville, Florida, Alexis Narducci received her undergraduate degree from Piedmont College, where she majored in political science and history and minored in criminal justice and English. She was also a member of the Piedmont College Women’s Lacrosse team for all four years. At W&L Law, she is the Co-President of the Pro Bono Club, Vice-President for the Sports, Entertainment and Intellectual Property Law Society, and Director of Recruiting and Event Planning for Phi Alpha Delta. I interned with Judge Humphreys for the Virginia Court of Appeals during the first half of my 1L summer. For the second half of my 1L summer, I interned with the Atlanta Blaze Major League Lacrosse Team and the Bailey Lawyers. Throughout my whole summer, I also did research for McMenamin Law Offices. I got my internship with the Court of Appeals of Virginia through the school’s OCI program. I got my internship with the Atlanta Blaze by reaching out to alumni, and one of them had a connection with the President of the Atlanta Blaze. The Bailey Lawyers sponsor the Atlanta Blaze, so one connection lead to another and I started interning for them part time as well. I got my research position for McMenamin Law Offices through a SCORE posting, and when I sent the firm my information, they actually knew Judge Humphreys for the Court of Appeals, so it all came full circle. With the Court of Appeals of Virginia, I did a lot of research and writing. For each case, I read both of the party’s briefs, did my own research, wrote a memo to the judge about what the law says about the issue presented, and then I would orally present my findings to the judge and we would discuss the case. This was very rewarding because I got to go to court and watch the attorneys argue each case that I wrote a memo on. For the Atlanta Blaze, I did more of their contract work. I worked on contracts with players, venue leases, and corporate sponsorships, as well as creating waivers for clinics and tournaments and looking over ticket language. This internship gave me a first-hand experience of all of the facets of a professional sports organization. With The Bailey Lawyers and McMenanim Law Offices, I primarily did research and wrote memos. Also with The Bailey Lawyers, I had the opportunity to interact with clients and see how a case operates from start to finish. The Bailey Lawyers focus on personal injury, while McMenamin Law Offices focuses on healthcare. I developed better research and writing skills this summer because I was doing research and writing on a wide variety of subjects. I also learned better time-management skills because while most people balance one of two internships, I was trying to balance four. Administrative law was useful for preparing me this summer because the first case I did at the Court of Appeals was an immigration case that dealt with administrative law. Also, contracts helped me a lot because I understood the contract language when I looked over all of the Blaze’s contracts. Finally, torts helped prepare me to work with The Bailey Lawyers because they specialize in personal injury. I was surprised at how hard research can actually be. One of the biggest struggles for me this summer was knowing when to stop researching and start writing. Also, I was surprised at how much I learned during my 1L year. I think during 1L year it is easy to feel lost and like you don’t know what you’re doing, but I understood everything that was thrown at me during my internships, or I at least knew enough to ask more specific questions about the matters. My favorite aspect of this summer was all of the different things I got to do. All of my internships were different in one way or another, so I never got bored of the work I was doing and it kept me on my toes. I am still up in the air about what I want to do after graduation because I liked each of my internships. That makes it harder to narrow down exactly what I want to do. I think I know how to study better for exams now because I have seen how issues relate to cases in the real world. I also think I realized that I need to network more while at W&L because our alumni network is huge and very helpful.